Alan Whicker is quite simply a legend. A visionary and master of his craft, his television shows from the fifties to the nineties almost single handed invented the language of travel television and earned him the status of one of the most foremost of British media icons. Yet throughout his forty years in TV he was steadfast in his belief that his programmes should not be about himself but about those people he encountered. Until this year when he was persuaded, as part of the 60th anniversary of the invasion of Italy, to tell his remarkable war experiences in two fabulously reviewed hour-long television pieces. This book uses these programmes as the starting point to tell the story of Alan Whicker's remarkable war. 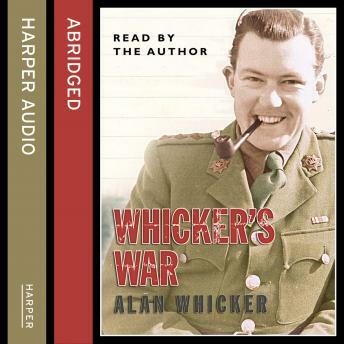 Alan Whicker joined the Army Film and Photo Unit as an 18-year-old army officer, following the Allied advance through Italy, from Sicily to Venice. He filmed the troops on the front line, met Montgomery, and other military luminaries, filmed the battered body of Mussolini after his execution and accepted the surrender of the SS in Milan. This is remarkable account of the Italian campaign of 1943 and 1944 as he retraces of his steps over sixty years later. Beautifully written, poignant with humour and pathos this is a masterful book by one of the 20th centuries greatest TV journalists.